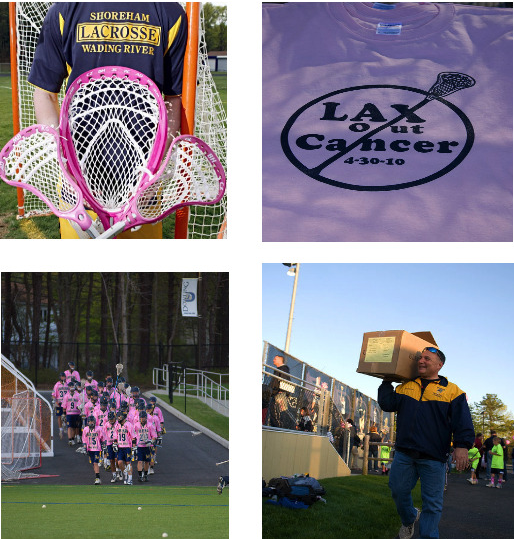 Lax Out Cancer 2013 is here! The 5th Annual Lax-Out-Cancer event. 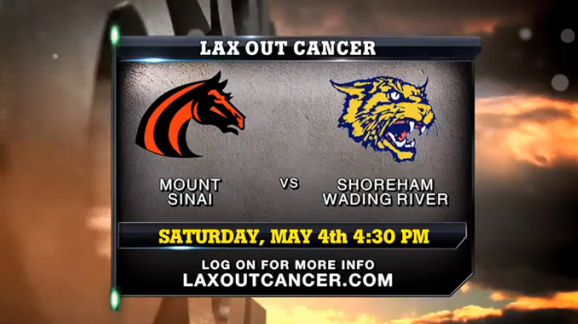 It is that time of year again, SWR Boys Varsity Lacrosse will be hosting Mount Sinai on Saturday, May 4th, 2013 - Game Starts at 4:30pm, Festivities start at 3:30pm. This event is a Fund Raiser to help battle Cancer. Our goal this year is $30,000! We will divide the proceeds up into 1/4's going the 'Make-A-Wish', 'Ronald McDonald House', 'The Lustgarten Foundation', and the last 1/4 going to local families in financial need who are battling cancer!